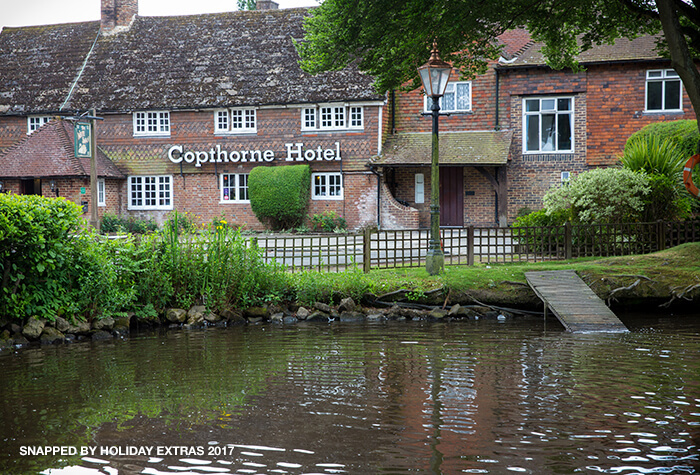 As one of our most historical hotels at Gatwick, the Copthorne Hotel London Gatwick in Copthorne combines 16th-century charm with character and elegance. 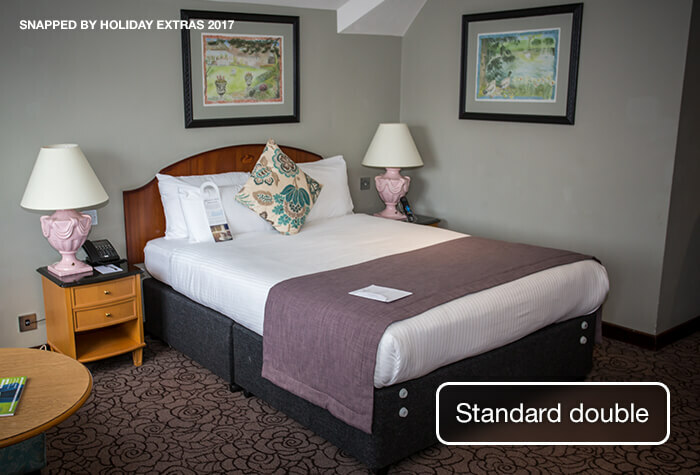 Set in 100 acres of woodland, it boasts a beautiful and tranquil setting, and is the perfect backdrop to kick back and unwind in. This 4-star hotel is only three and a half miles away from the airport, but it feels a million miles away. Not only is this hotel picture-perfect, it also offers fantastic facilities including a swimming pool, squash courts and gym, all free for guests. There is also a beauty therapist and sports injury clinic. As for dinner, there is the choice of two amazing restaurants. 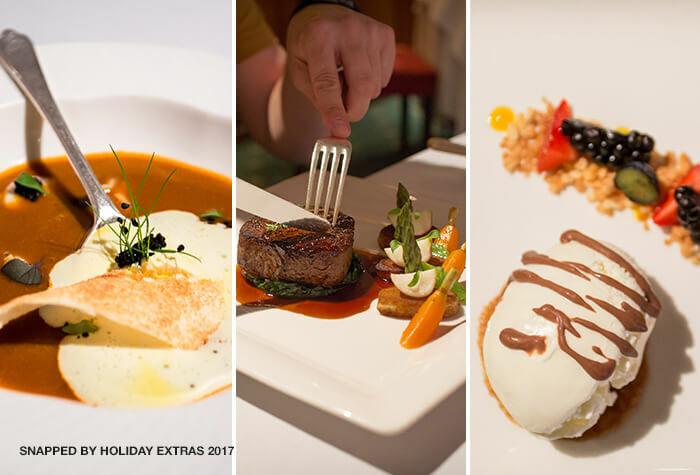 Enjoy a delicious meal in The Brasserie, a buffet style restaurant, or enjoy fine dining in The Lion DOr, which offers fantastic British dishes and fine wines, for a great price. There are also two bars to choose from, The Library Bar and The White Swan Pub. The White Swan pub overlooks the hotels pond and picturesque gardens. Its beautiful grounds - Many guests stay at The Copthorne for its simply stunning gardens and woodland areas. There is nothing more enjoyable than relaxing in the heart of beautiful surroundings with a glass of bubbly in hand before jetting off on holiday. 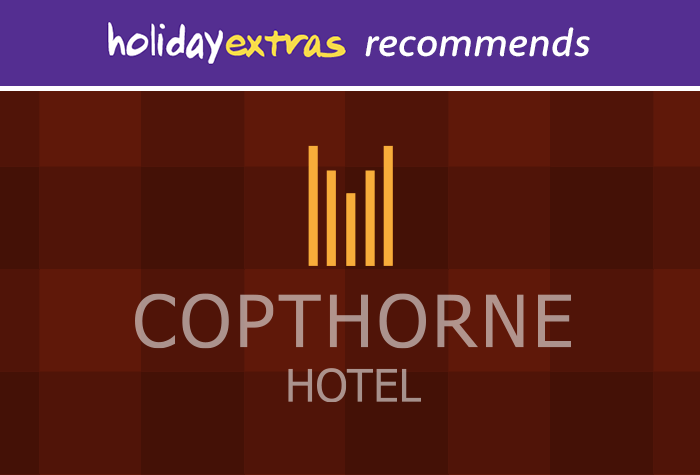 Its fantastic dining options - Dining at The Copthorne is an experience in itself. Both restaurants offer some of the finest dining at Gatwick. With the choice of two fine-dining restaurants, youll be spoilt for choice. 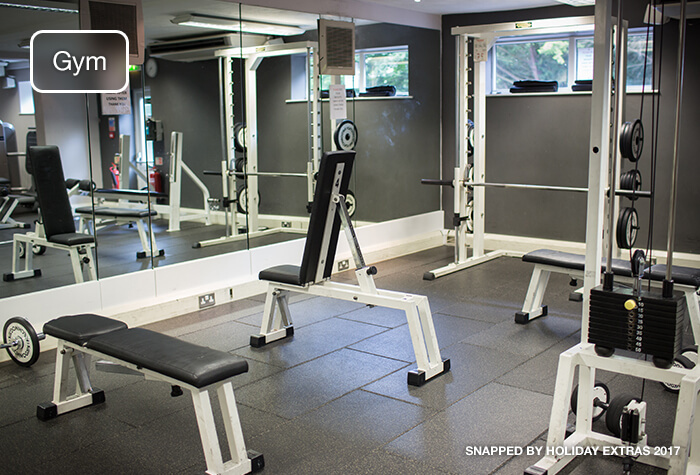 Their complementary leisure and fitness facilities - All guests receive complimentary access to the leisure club, which is just 100 yards from the hotel. 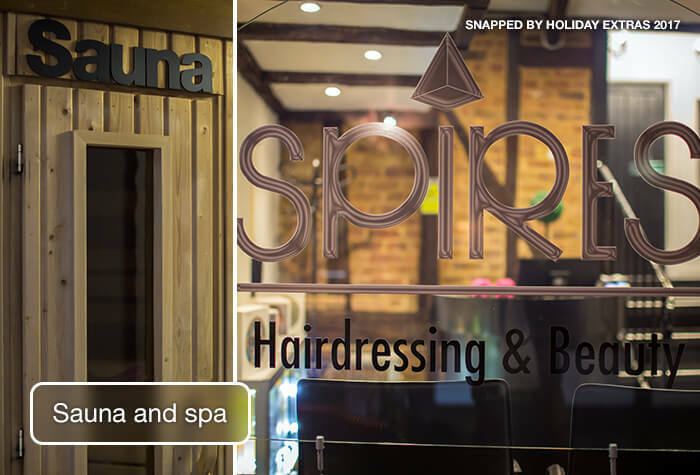 Make use of the gym facilities or tennis and squash courts, or, if youre after a more chilled -out time, laze in the steam room and sauna, or even indulge in a spa treatment. The Copthorne is 12-16 minutes away from the North and South Terminals on a shuttle bus. The shuttle bus is run by the airport, costs £5.00 per person each way. Overnight parking at the hotel is available if you need it and costs £5 per car. This package doesnt include parking while youre away. If you need parking for the duration of your trip search for an airport hotel with parking package instead. A shuttle bus runs from the hotel every hour between 4.15am and 10.15pm, takes 15 minutes and costs £5.00 per person. If there are 2 or more of you travelling, wed recommend getting a taxi instead. Taxis cost around £12 per car when booked at reception with the hotel's preferred firm and take 10-15 minutes. 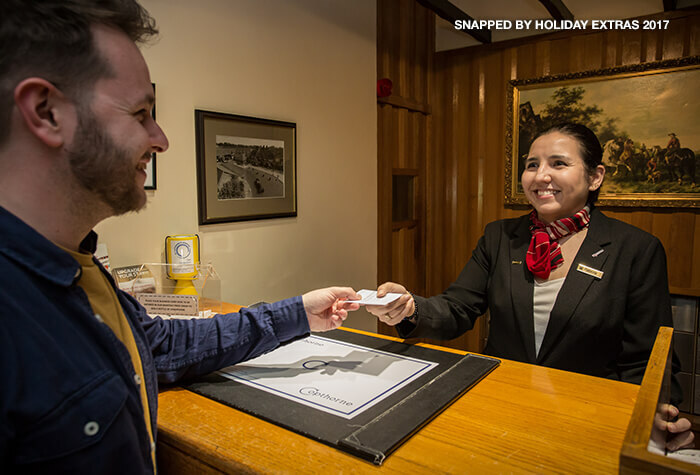 Check-in from 2pm, check-out by 12 noon. 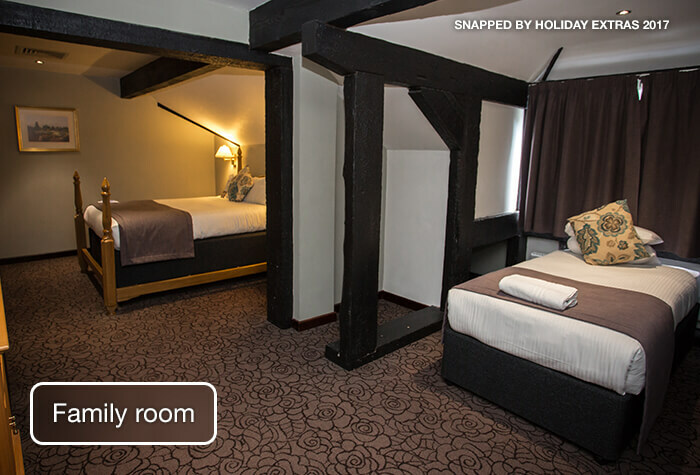 Rooms at the Copthorne vary in style - some have slanted ceilings and dark wooden beams and most have a garden view. You'll also get tea and coffee facilities and a hair dryer. Its free in public areas. Our customers say its a medium speed, so wed recommend using 4G if you need to. Wifi in your bedroom costs £5 for 24 hours. The hotel has accessible rooms which have handrails, grab bars and modified bathrooms. There are also accessible parking spaces in the hotels car park. The Brasserie - buffet-style restaurant serving dishes like fish, new potatoes, chicken and veg. Its £19.50 per person for 3 courses and there is a childrens menu too. 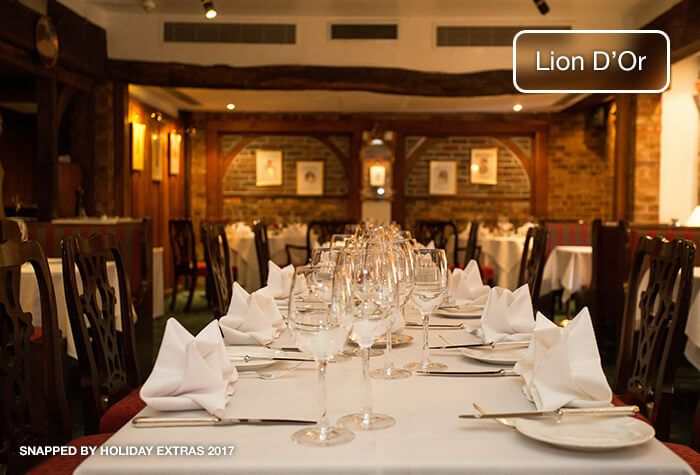 Lion DOr - fine dining for a slightly higher price. The menu includes traditional dishes like halibut, sea bream, scallops, duck and guinea fowl, as well as chicken, beef and lamb. The average main costs around £22 here. White Swan pub - traditional British favourites like fish and chips and pie and mash. An average main meal costs about £14. Open from 12 noon to 11pm. Library bar - oak beams and towering bookcases with a fireplace and leather armchairs - serves hot and soft drinks, beer, wine and spirits. Open from 8.30am to Midnight. 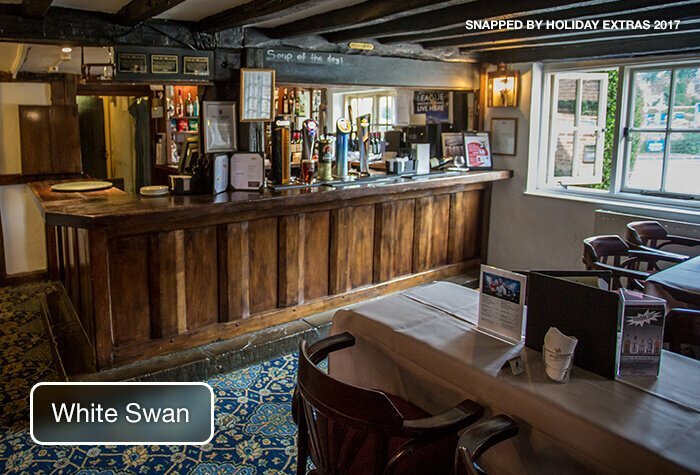 White Swan pub - soft drinks, beer, wine and spirits - think flagstone flooring and carpeted bar stools. Theres a big screen showing all the latest sporting action and a pool table too. 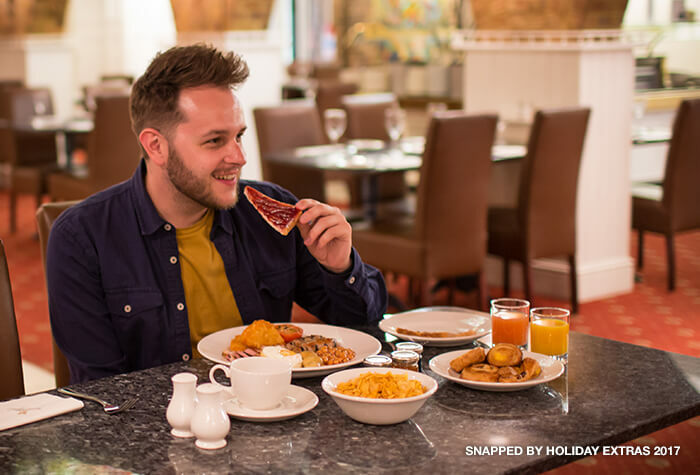 Its an English and continental buffet and costs £15.95pp. A takeaway option is available for guests on the go. The Acorn fitness centre next to the hotel has a gym, pool, sauna and spa. 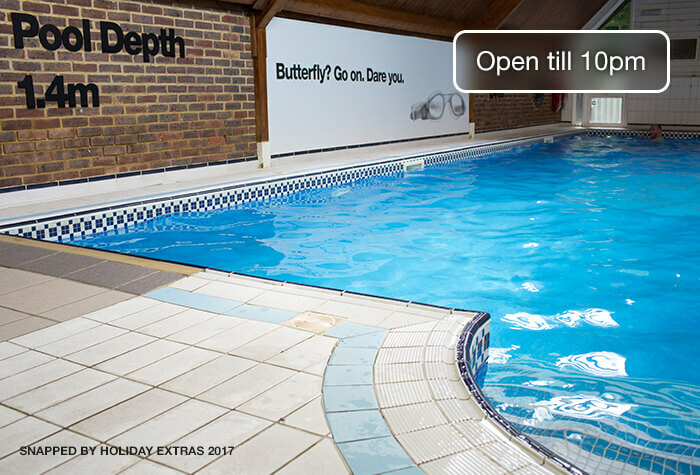 Its open until 10pm, with allocated times for kids and is free for Copthorne guests. 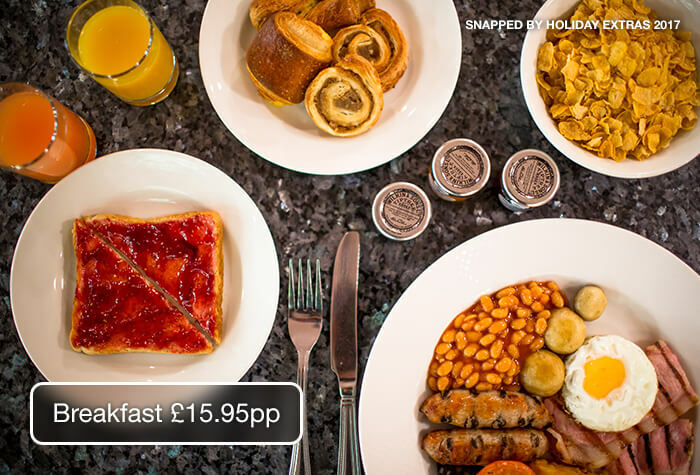 For £30, upgrade to a club room with wifi and overnight parking included in the price. Youll also get upgraded toiletries, bottled water in your room, a bathrobe, slippers and a king-size bed. Disabled facilities This hotel has wide corridors, ramps to some of the bedrooms and automatic doors. One room is specially for disabled customers, but has a bath rather than a wet room.